AEROSPACE: machining glass fiber, carbon fiber, graphite fiber and filled resins. BIOENGINEERING: processing heart valves, contact lenses and ophthalmic prostheses. ELECTRONICS: machining memory disks, silver alloy, laser mirrors and pure copper parts. PLUMBING/GAS: machining precision brass balls, faucet valves, decorative plumbing fixtures and PVC balls. METALWORK MANUFACTURING: machining light alloys, copper, bronze, brass, antifriction material, filled resins and sintered alloys. 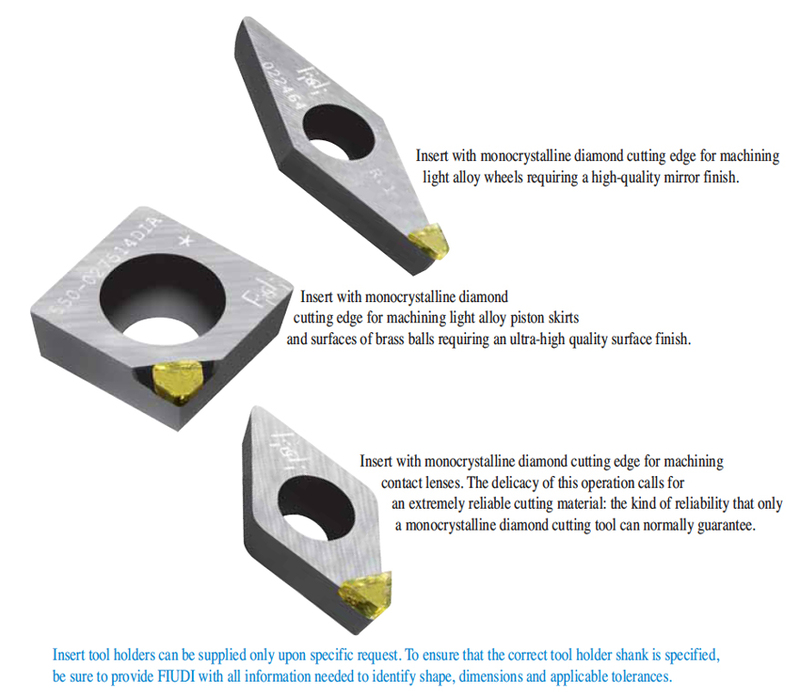 METROLOGY: HRC hardness test indentors, in-process inspection probes, on-bench inspection probes and styluses. JEWELLERY: machining watch cases, straps, chain and relief patterns.